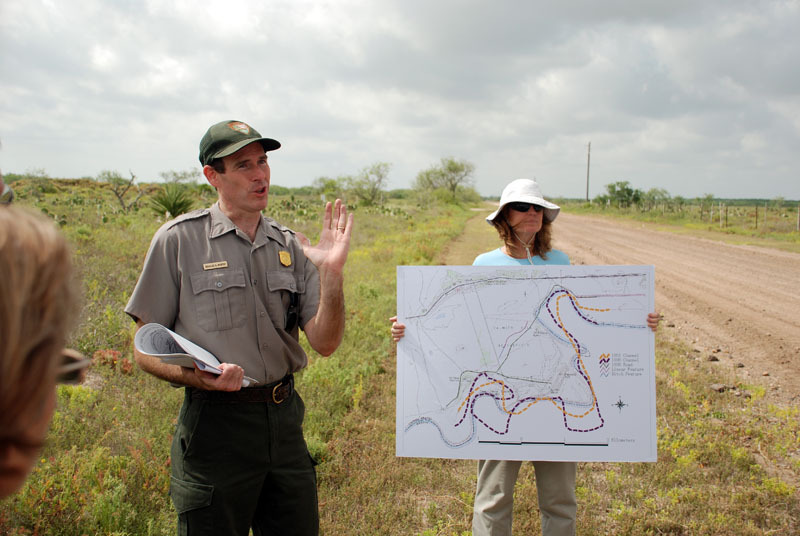 A very special historical observance is just over the horizon, and the Cameron County Historical Commission is hard at work to make sure that Texas and the nation knows the name of Palmito Ranch Battlefield National Historic Landmark (NHL). Tuesday, May 12, 2015 will mark the sesquicentennial (150th) anniversary of the last land battle of the American Civil War, fought on May 12–13, 1865. 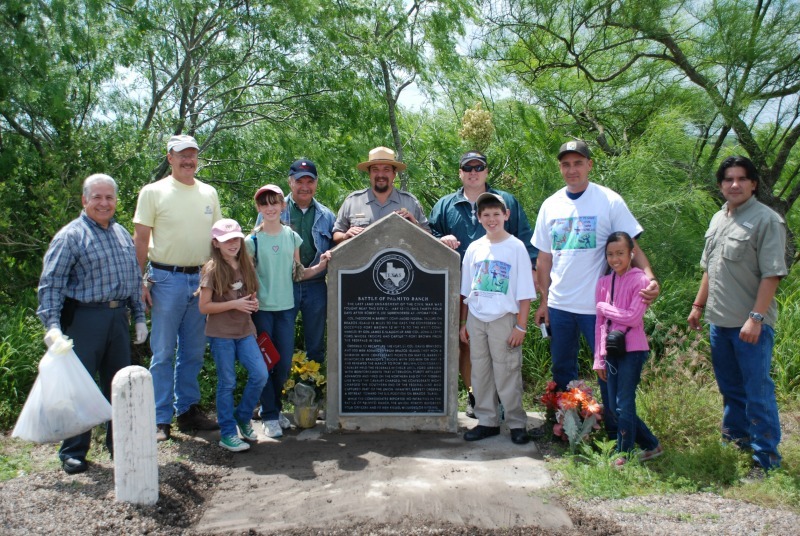 Led by chair Wilson Bourgeois, the Cameron County Historical Commission’s Civil War Sesquicentennial Committee (Cameron Sesquicentennial Committee) is busy coordinating extensive preparations for a week-long commemoration of the Battle of Palmito Ranch. Check out the teaser trailer for next year’s commemoration. 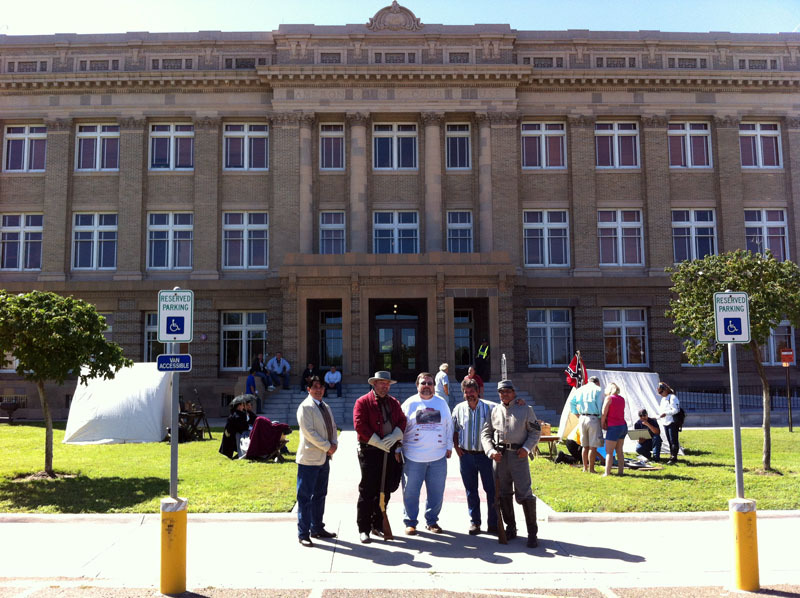 The Cameron County Historical Commission (CHC), one of 254 CHCs in Texas, represents a vital link in the state’s preservation efforts. 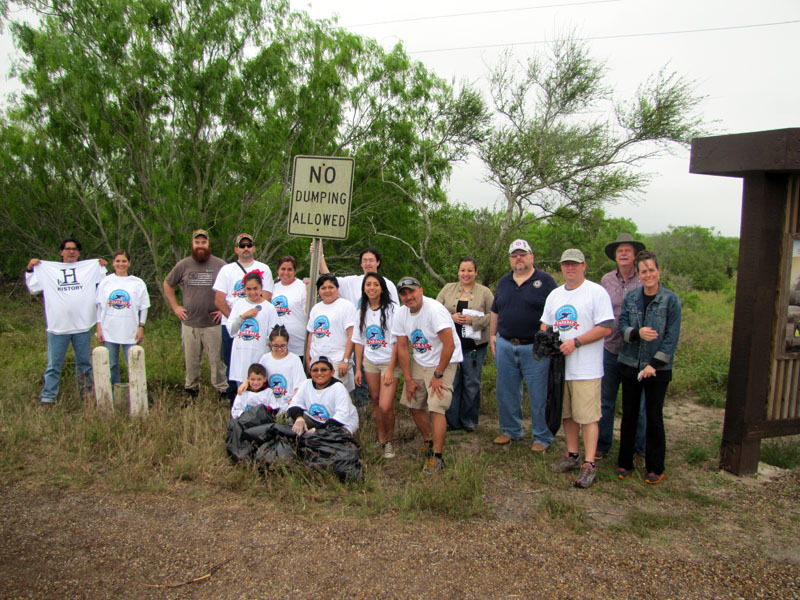 Texas is one of just a few states with a statewide network of preservation organizations such as CHCs. 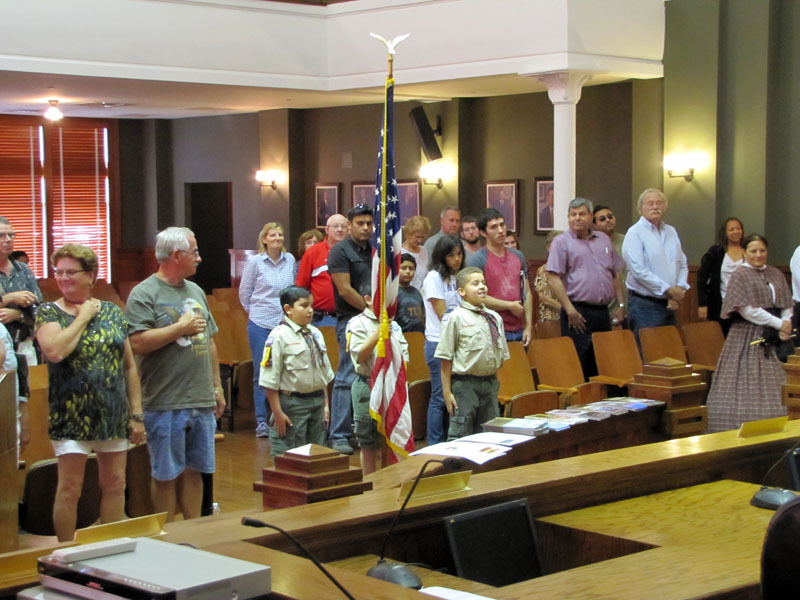 These front-line historic preservationists have statutory responsibility to initiate and conduct programs suggested by their county commissioners courts and the Texas Historical Commission (THC). For decades, CHCs have worked in a dynamic and positive partnership with the THC to promote local history celebrations and heritage tourism. One such preservation program has been the Civil War Trust’s annual volunteer day at the nation’s battlefields, known as Park Day. In addition to the Cameron CHC, the THC has built a rewarding partnership with a coalition of local and national stakeholders consisting of the U.S. 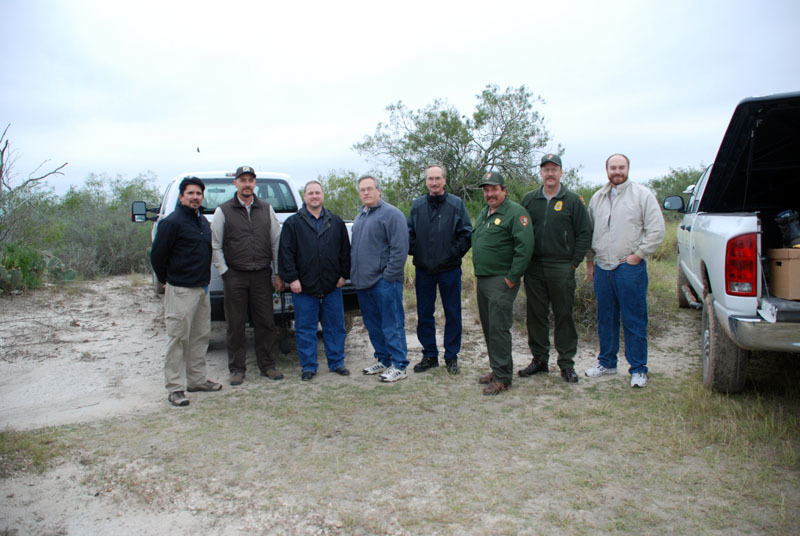 Fish and Wildlife Service’s (USFWS) South Texas Refuge Complex, the National Park Service’s Palo Alto Battlefield National Historical Park, the Brownsville Historical Association, and more. 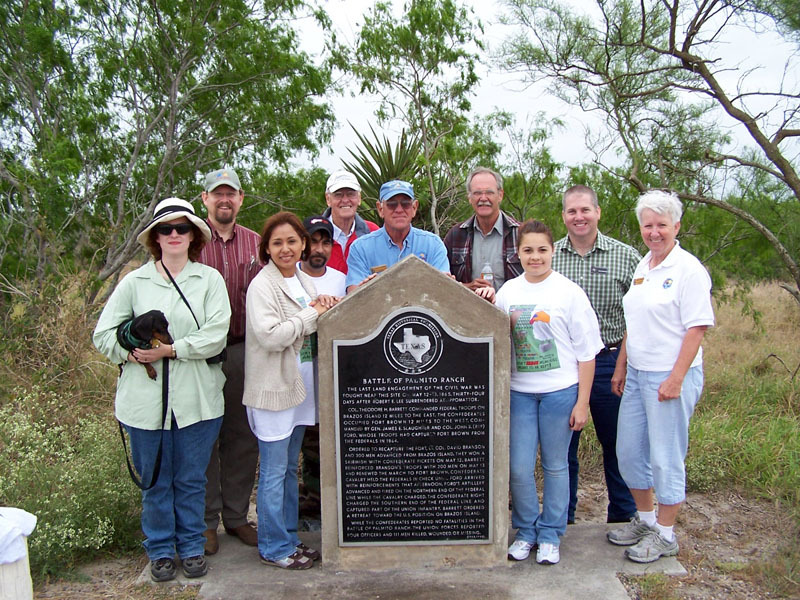 During the first Park Day at Palmito Ranch Battlefield in 2008, former chair Larry Lof and other Cameron CHC members participated. In subsequent years, the Cameron CHC’s participation has continued to grow, thanks in large part to a chance meeting at the State Capitol almost five years ago. On November 16, 2009, Bourgeois was in the Capitol’s lower rotunda. 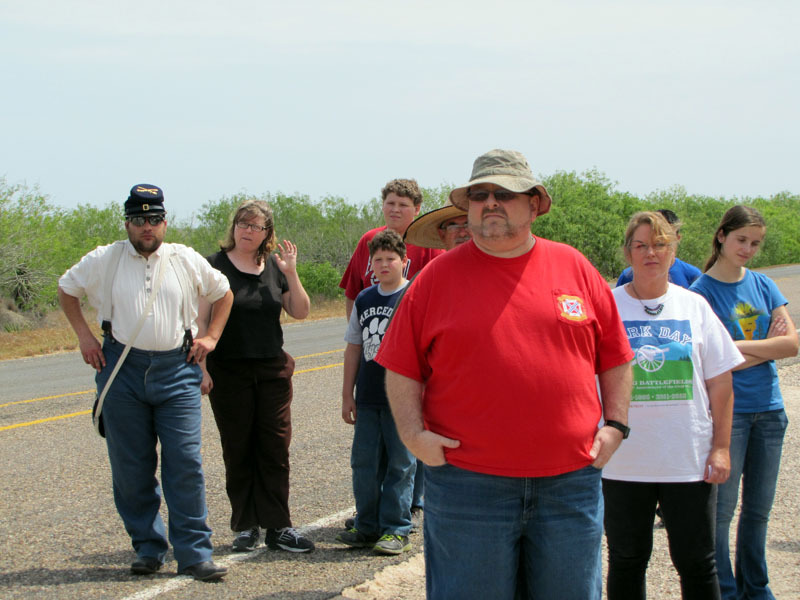 A resident of Brownsville, he had recently been the subject of a local media story as a burgeoning historian specializing in the history of the Battle of Palmito Ranch. 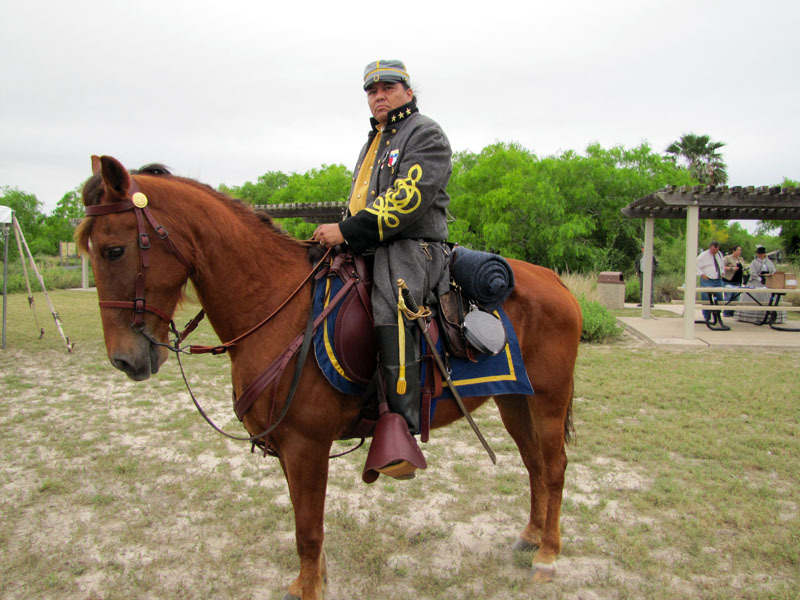 Bourgeois was in town for the dedication of a battle diorama built by students at Highland High School in Gilbert, Arizona, and destined for the Texas Civil War Museum in Fort Worth, which funded the project. After Bourgeois’ presentation that morning, I introduced myself, beginning what has developed into an exceptionally rewarding professional relationship with him first as a historian, and then as a member of the Cameron CHC. Although Texas does not possess iconic Civil War battlefields, such as Gettysburg or Antietam, the Lone Star State does include a wealth of sites that are important to telling a complete history of the American Civil War. 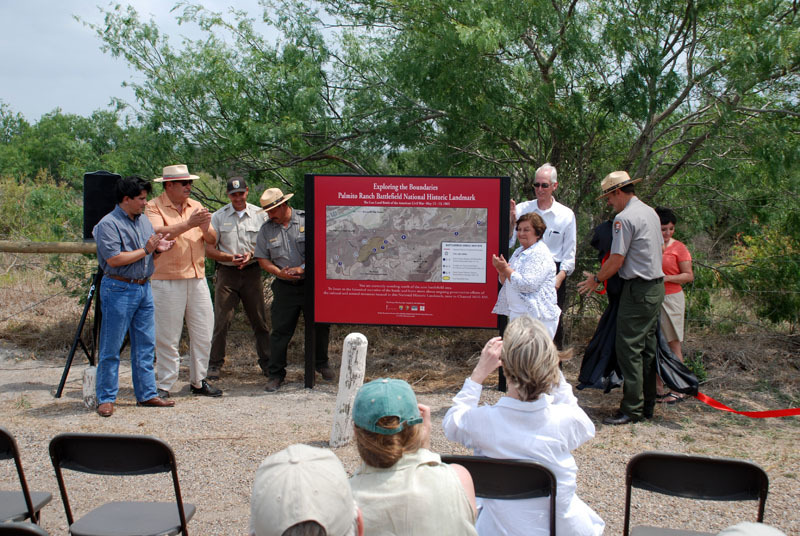 One of the most regionally and nationally significant Civil War military sites in Texas is Palmito Ranch Battlefield, which is located east of Brownsville in the Texas Tropical Trail Region. 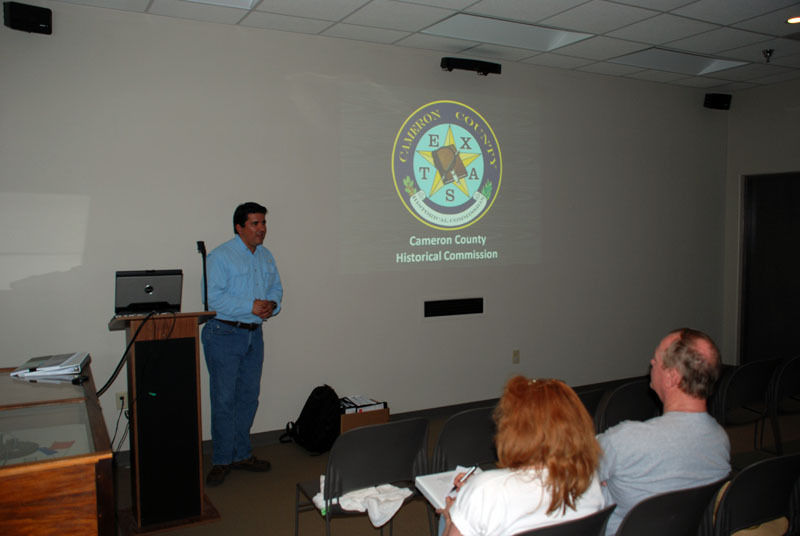 Aware that the state does not have an official committee to commemorate the sesquicentennial of the American Civil War, the Cameron Sesquicentennial Committee’s regional programming is helping fill the gap through research, symposiums, outreach, and the week-long series of events during the upcoming sesquicentennial observance in 2015. The plans outlined below show how hard they are striving to achieve this goal. The Cameron CHC has greatly assisted the THC’s effort to conduct annual Park Days at Palmito Ranch Battlefield under chairs Larry Lof, Mary Torres, and current chair Betty Agado. 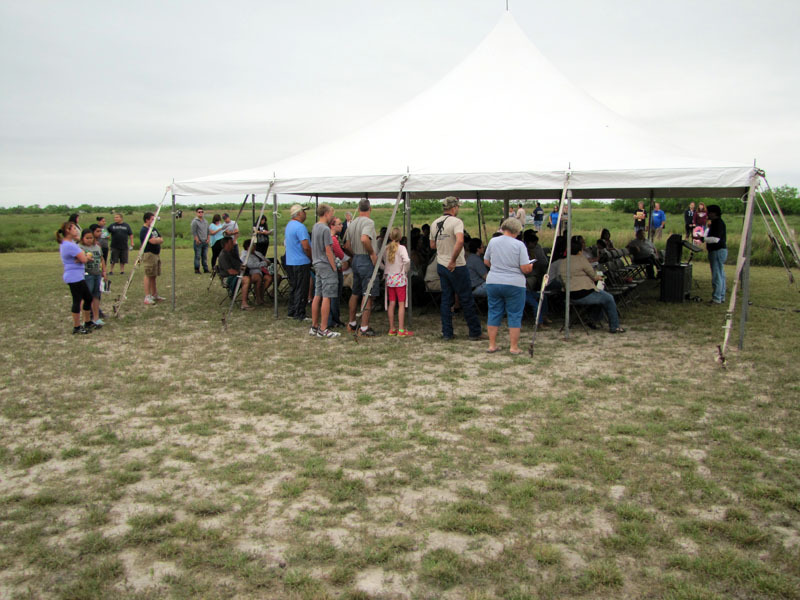 In addition, the Cameron Sesquicentennial Committee, led by Bourgeois, has evolved significantly during the past few years as a primary local stakeholder for the battlefield’s preservation. 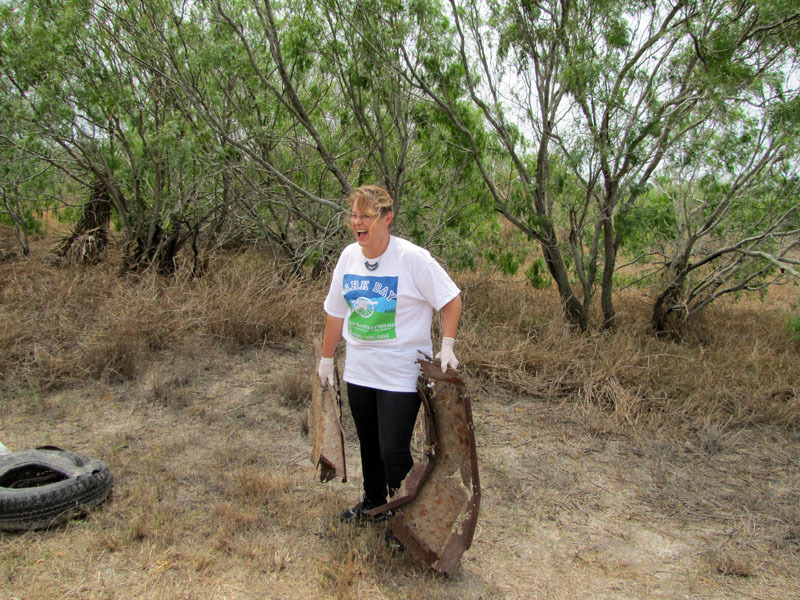 These volunteers have demonstrated impressive organizational and coordinating ability for past projects and the upcoming sesquicentennial observance. In sum, the Cameron Sesquicentennial Committee has been a driving force in preserving the history of, and promoting appreciation for Palmito Ranch Battlefield NHL. For more information about next year’s programming, please contact the Cameron Sesquicentennial Committee directly, or check out the Cameron CHC Facebook page and Palmito Hill 150th Facebook page. 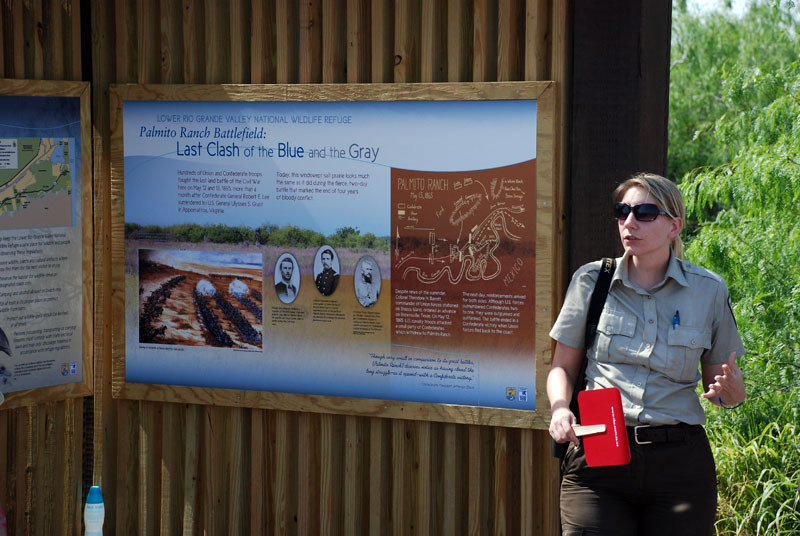 Since 2008, the THC’s Military Sites Program has coordinated Park Day at Palmito Ranch Battlefield, and undertaken several grant-funded projects associated with the battle, including research studies; a brochure; an onsite radio broadcast repeater system; and new signage, including the USFWS’s latest successful project that placed a 360-degree interpretive platform in the core battlefield area. 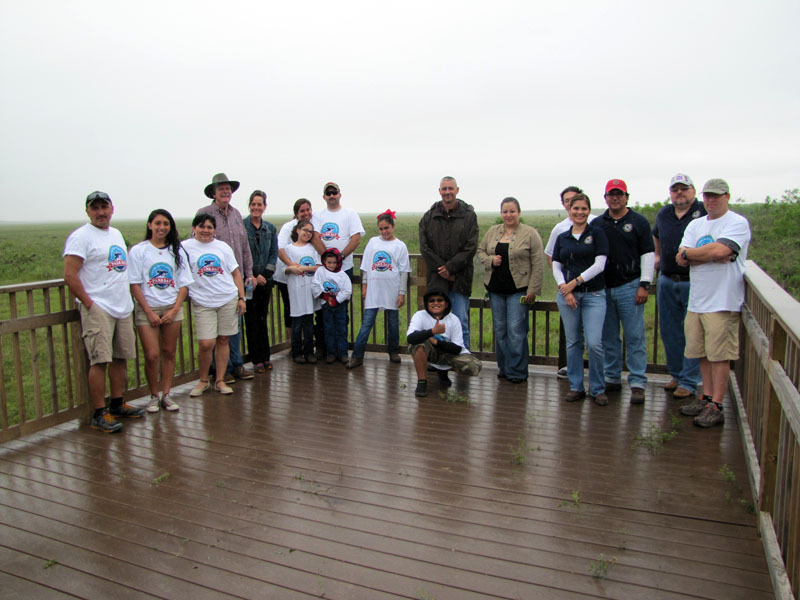 Learn more about these projects at the THC’s Palmito Ranch Battlefield webpage.